Monique Lallier was the Fine Binding Director of the American Academy for Bookbinding from 2005–2009. An internationally recognized book binder and book artist, she began her studies in the 1960s in Montreal at the Cotnoir Cappone School of Fashion & L’Art de la Reliure book binding school with Simone B. Roy. Moniques’ work may be found in the collections of McGill University, St. Joseph Oratory in Montreal for the Pope Jean-Paul II, Louisiana State University, University of North Carolina, Guilford College, Hege Library, Greensboro, as well as many private collections in the USA, Canada, Europe and Japan. Don Etherington was a member of the British team that led the first conservation efforts after the disastrous flood of 1966 in Florence, Italy. Director of the Etherington Conservation Program in Summerfield, North Carolina, Mr. Etherington is internationally recognized for his innovative designs and for the implementation of state-of-the-art conservation procedures, including phased preservation programs for libraries and institutions. 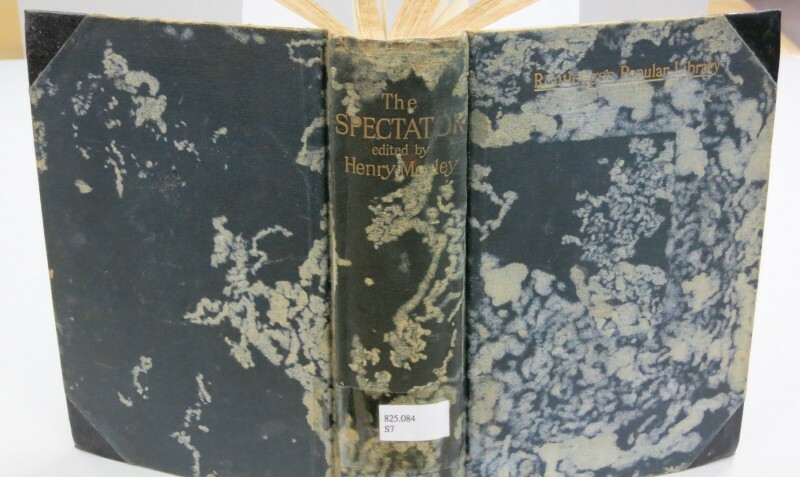 After extensive training in England, he established a four-year program in bookbinding and design at Southampton College of Art, and over the years has conducted numerous workshops and seminars. Currently, Mr. Etherington teaches American Academy of Bookbinding courses from his studio in Summerfield. By analogy with Western illuminated manuscripts of the Middle Ages, Dr Edgren will introduce a genre of East Asian Buddhist manuscripts. Generally written with gold and silver ink on dark indigo-dyed paper, these Buddhist works also feature drawn frontispiece illustrations. Dr Edgren will suggest that while the early adoption of printed Buddhist sutras with elaborate woodcut frontispieces stifled the growth of illuminated manuscripts in China, state support for Buddhism in Korea contributed to their rapid development, and a strong Buddhist culture and keen sense of illustrative design in Japan promoted their spread across Japan. James Soren Edgren was Editorial Director of the Chinese Rare Books Project, an online international union catalogue of Chinese rare books based at Princeton University. Edgren received his Ph.D. in Sinology from the University of Stockholm and has worked as East Asian cataloguer and bibliographer in the Royal Library in Stockholm, as well as having been active in the antiquarian book trade. In addition to dozens of scholarly articles, he has written the Catalogue of the Nordenskiöld Collection of Japanese Books in the Royal Library, Chinese Rare Books in American Collections and served as Associate Editor for The Oxford Companion to the Book. This lecture in the Andrew W. Mellon Preservation Series has been organised by the University Museum and Art Gallery (UMAG), The HKUL Preservation & Conservation Division, the Faculty of Arts and the Fine Arts Department at The University of Hong Kong. This lecture will give a brief overview of XRF analysis as it relates to cultural heritage and the fields of conservation and material science. Accessible to the general public, this talk will include a range of applications and the related results of XRF data analysis. Key examples will include the conservation of frescoes in a Neolithic settlement, the sourcing of objects for analysis, and the exploration of life on Mars. non-destructive and in-situ elemental analysis of paintings, artefacts, sculptures and building finishes. By determining the elemental composition of objects, researchers are better able to draft a conservation plan in relation to chemical changes or surface deterioration. The materials being analysed may also be heterogeneous, in which case, available standards are often not applicable. All of these factors must be considered for the correct application and interpretation of the data. The lecture will give a general introduction to the field of handheld XRF analysis and is aimed at a general public interested in conservation and material science. Dr Lee Drake worked as a senior applications scientist for Bruker Nano, where he specialised in the application of handheld XRF for art conservation and cultural heritage. He has worked in museums around the world—from the Smithsonian Freer Gallery to the Natural History Museum of London to the bibliotheque National de France—on topics as varied as pigment identification, conservation, archaeometry, agriculture and semiconducters. He is the author of numerous publications and is currently vice president of the Paleoresearch Institute. This lecture in the Andrew W. Mellon Preservation Series has been organised by the University Museum and Art Gallery (UMAG), the Architectural Conservation Laboratory (ACLab), The HKUL Preservation & Conservation Division, the Faculty of Arts and the Faculty of Architecture at The University of Hong Kong. The exhibition and workshops are free and open to all. Registration is required for the workshops and is first come first served. HKU Libraries Preservation & Conservation staff will give a brief introduction to this classic and versatile binding style. Examples of ways to modify the stitching and cover for a more personalized notebook will be discussed. Workshop participants will sew a single signature notebook with paper cover and a double signature notebook with cloth cover. Architectural/technical drawings are created to illustrate a concept, sell a project, or provide the graphic information to construct a building, bridge, machine or decorative object. A study of the materials and methods used to create these drawings therefore provides insights into changes in architectural practice as well as drafting techniques. Drawings, ranging from quick conceptual sketches on tracing paper to annotated working blueprints, also illustrate different phases in the design and construction process. The interpretation and preservation of architectural drawings depends upon an understanding of their role in architectural practice and a knowledge of drafting materials and techniques and the ability to identify them. This workshop will provide an overview of changes in the fabrication and role of architectural drawings from the eighteenth to the mid twentieth century and then focus on issues of identification, storage and stabilization. Lois Olcott Price is the recently retired Charles F. Hummel Director of Conservation at the Winterthur Museum and Winterthur Professor of Art Conservation in the Winterthur/University of Delaware Program in Art Conservation. She has published, lectured and consulted widely about architectural drawings and published a monograph on her research in 2010, Line, Shade and Shadow: the Fabrication and Preservation of Architectural Drawings, which won the Historic Preservation Book Prize in 2011. Archivists, collection managers, registrars, conservators, and anyone interested in or responsible for architectural drawings and photo-reproductions. This three-day Integrated Pest Management (IPM) workshop will be divided equally into lectures and practical work. The aim of the course is to show participants how IPM works, its most important aspects (monitoring, prevention, treatment, insect biology) and to give guidelines for how to apply IPM. After the course, all participants will be able to begin a monitoring program in their home institution, be able to identify the most important insect pests, and understand preventive measures such as cleaning, building sealing, temperature regulation and quarantine. Participants also will learn when to select between chemical free treatment methods such as heating, freezing, nitrogen, CO2, microwave and parasitic wasp reseal. Traditional treatment methods with biocides will be presented, along with the related advantages and disadvantages. Pascal Querner is a biologist specializing in Integrated Pest Management in museums, archives and historic buildings. As part of his work he currently monitors pests in the Schönbrunn palace, the Austrian National Library and in a broad variety of other museums. In 2013, he co-organized an international IPM conference in Vienna in the Kunsthistorische Museum, the largest fine arts museum in Austria. The Getty Conservation Institute will be visiting Hong Kong, Singapore and Taiwan in August to discuss the Arches heritage inventory and management system. Information will include an overview of the Arches system and the new functionality available in version 3.0. There will be no attendance fee for any of the sessions. The Hong Kong session will take place at The University of Hong Kong, and is being sponsored by the University Museum and Art Gallery (UMAG), Architectural Conservation Programmes (ACP) and the Preservation and Conservation Division (PCD) of HKU Libraries, in collaboration with AXA ART Asia Limited and M+. This two-day Handling Workshop is designed to instruct attendees in the most current collections care practices, as well as the proper procedures and techniques for handling art and artifacts within museum and related environments. The primary target audience will include museum and gallery staff and art transport firm employees responsible for proper procedures and techniques for handling objects within their institutions and companies. The first day will follow a lecture format with visual presentations targeting crucial issues of collections care practice. Topics will include the employee work environment, on-the-job training, planning and analysis prior to handling, handling techniques, materials, and the equipment needed to handle the most commonly found objects within the museum and gallery environment. The first half of the second day will present attendees with demonstrations of how to handle, pack and transport objects within the museum or gallery site. Proven handling techniques will be presented for those two-dimensional and three-dimensional objects commonly found within the collections environment. Demonstrations for packing and transporting objects with specialized equipment will emphasize soft packing methods used to transport objects short distances outside of the space. The final half of the second day will be set aside for hands-on experience with the handling and packing of designated objects that have been chosen to highlight information discussed over the first part of the workshop. The goal is to give all attendees at different career levels an overarching knowledge of proper handling techniques and practices, which will make them an effective and quality individual within their workplace environment. Class size will be capped at 20 participants and simultaneous interpreting into Cantonese will be available. Brent Powell was originally the Chair of PACCIN (Preparation, Art handling, Collections Care Network) from 1991–1998, and served as a Steering Committee member for several years before returning to chair the organization again during its restructuring in 2008. In conjunction with PACCIN he has co-authored, compiled and edited three publications and has written for other publications within AAM and the industry. He worked as project manager for ARTEX Fine Arts in Landover, MD between 2010 and 2013. Prior to that he was employed from 2007 through 2010 as the Head of Preparation for the Asian Art Museum in San Francisco. Mr. Powell’s previous experiences includes Manager of Art Services for the National Gallery of Victoria in Melbourne, Australia (2002–2007); Director of Museum Services for International Art Services in Sydney Australia (2000–2002); Director of Special Projects for Fortress FAE in Baltimore, MD (1999–2000); Chief Preparator, Nelson-Atkins Museum of Art in Kansas City, Mo. Spaces are limited, so your quick response is appreciated. The purpose of this workshop is to prepare staff to carry out response and recovery procedures during emergencies that threaten typical library collections. The workshop consists of lectures, demonstration and hands-on practice in how to respond to an emergency effectively to prevent damage to the most vulnerable collections, and then how to salvage a variety of wet collection types during the recovery phase. Based on a recent workshop offered to Harvard University staff, a template for a collections emergency plan will be shared as well as an in-depth discussion of different roles and responsibilities, communication and decision-making that can be more effective if it is planned ahead and also integrated into staff members’ formal duties. The format of the workshop includes lectures, demonstrations, hands-on practice, and group work. Structured around the emergency lifecycle, the curriculum emphasizes how effective decision-making, paying attention to safety and security, thorough documentation and informed actions can help prevent further damage. Format-specific Collections Salvage training includes how to prioritize, move, clean, freeze and dry the most common library collection formats. Additionally, participants will have an opportunity to develop skills in how to train others in basic response and salvage techniques. Lead Instructor Priscilla Anderson is a Senior Preservation Librarian at Harvard University, where she manages preservation programs and outreach for over seventy repositories that constitute Harvard Library. Ms. Anderson co-chairs Harvard’s Library Collections Emergency Team, a group of conservators and preservation librarians that delivers 24/7 response and advice to assist libraries during emergencies that affect collections. She has organized and taught emergency response workshops and other training for over a decade at Harvard, and has recently managed rewriting Harvard’s Collections Emergency Plan Template. Her real-world experience with library emergencies includes responding to numerous water leaks, floods, and mold emergencies in libraries across campus. Please send your contact information and a letter of interest, including how this workshop will benefit your current position, to pmchan@cityu.edu.hk. Due to limited space and high demand the application process will be closed by the end of October. The SOMA project is an applied research initiative engaged in the development of an integrated approach to the preservation and interpretation of cultural heritage. Based at the City University of Hong Kong, SOMA’s activities include the development of interdisciplinary workshops and master classes that cover a broad range of heritage issues. 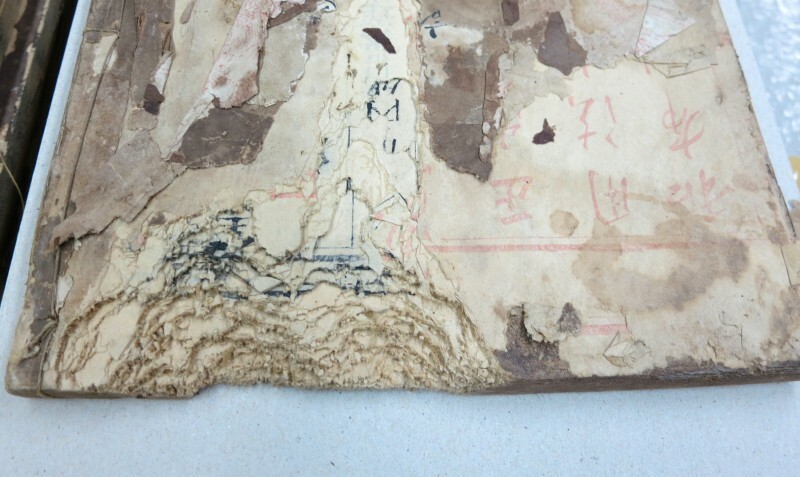 HKUL Preservation and Conservation seeks to sustain and enhance the collections of the University of Hong Kong Libraries by preserving and making accessible the Libraries’ holdings for current and future users. 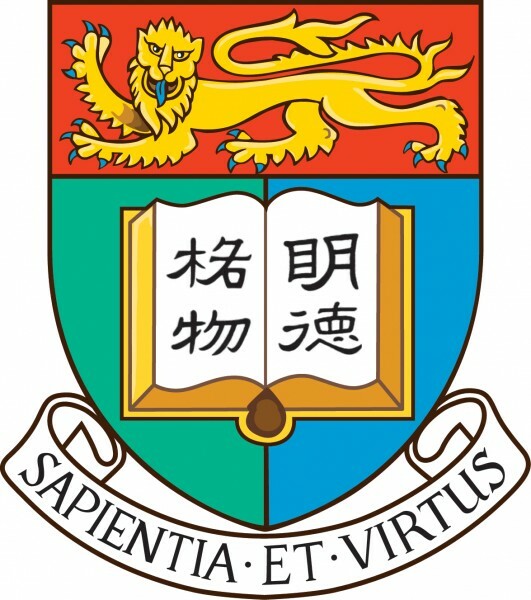 The Preservation Division serves as a focal point for intellectual and academic endeavors throughout Hong Kong, Asia and the rest of the world. In this four-day intensive workshop, participants will develop identification skills and knowledge about fine art and historic photographic processes, from the daguerreotype to digital prints. This workshop is intended for curators, collectors, archivists, collection managers, and anyone who studies or appreciates photographic prints. Due to the hands-on nature of this workshop, the number of participants will be limited to 15. 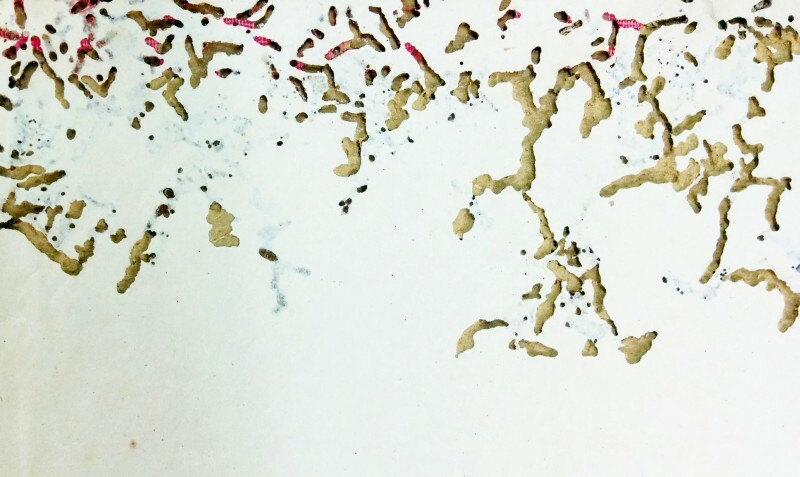 Using handheld 60x microscopes and a large set of photographic and photomechanical samples, the class will learn how a variety of processes were created, why they look the way they do, and how they deteriorate. Group ID sessions, using a digital microscope and screen projection, will allow participants to practice their identification skills in a guided setting. Preservation topics include enclosures, handling guidelines, environmental monitoring, the effects of temperature and relative humidity on collections, and the importance of cold storage for certain photographic materials. Over 30 different processes will be studied in great detail, from how daguerreotypes are made and how they are best preserved, to how long-lasting inkjet prints are created, and how to preserve and store color photographic materials and cellulose nitrate and cellulose acetate-based film. *The Basic Photographic Sample Set, consisting of 18 identified photographic and photomechanical processes, is available with registration for an additional USD75. The Academy of Certified Archivists (ACA), a certifying organization of professional archivists, will award 15 Archival Recertification Credits (ARCs) to eligible Certified Archivists (CAs) attending this workshop. The American Society of Appraisers and the International Society of Appraisers will award 24 reaccreditation hours/professional development credits for qualified appraisers attending this workshop. Please send an abstract of your current post (academic or professional, one-page maximum) and a CV to pmchan@cityu.edu.hk. Due to limited space and high demand the application process will be closed by the end of February. Flexibility for both workshops 1 and 2 will assist in securing a spot in the workshop. NOTE: Both sessions have reached maximum enrollment. We are currently accepting names for a waiting list. The Asian Academy for Heritage Management (AAHM) is a network of institutions throughout Asia and the Pacific region that offers professional training in the field of cultural heritage management. The mission of the AAHM is to strengthen professional capacity to sustainably manage heritage resources by providing a regional platform for institutional cooperation in education, training, and research. Under the guidance of UNESCO and ICCROM, AAHM promotes integrated, holistic and multi-disciplinary management of heritage resources.